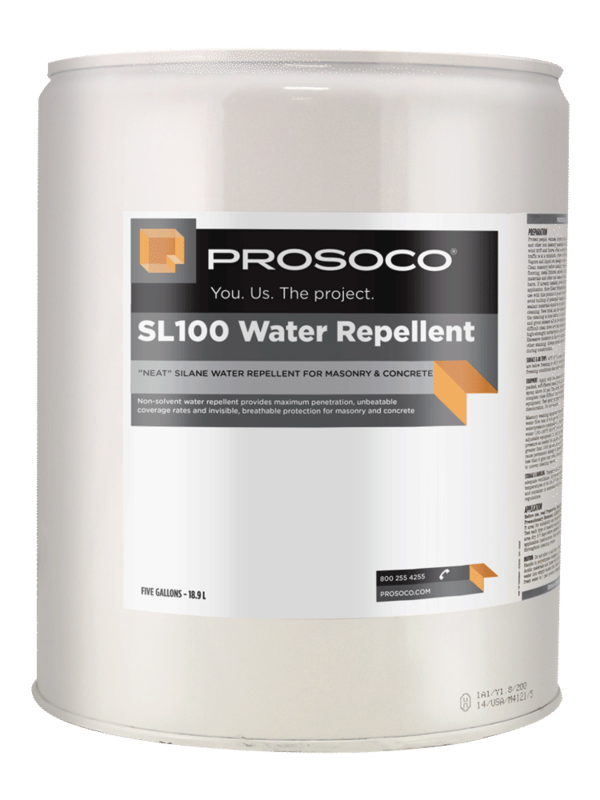 SL100 Water Repellent protects horizontal and vertical concrete and masonry surfaces against water and waterborne contaminants. Offering invisible protection and low volatility, SL100 ensures maximum penetration and colorless protection of dense, color-sensitive surfaces. It’s ideal for GFRC, integrally colored precast concrete and many types of natural stone. Excellent surface beading/stain resistance when compared with conventional “neat” silane systems. 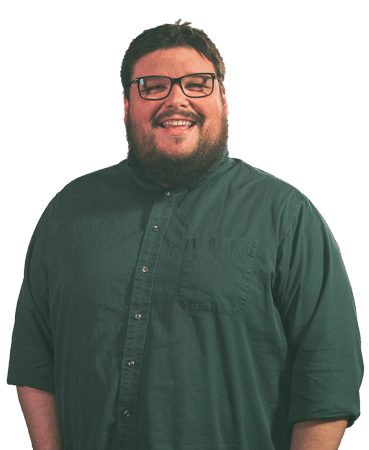 Does not form a film or gloss. Compatible with lithium silicate hardeners/densifiers. COVERAGE RATE150 - 1500 sq ft/gal. See Product Data Sheet for variations per substrate. 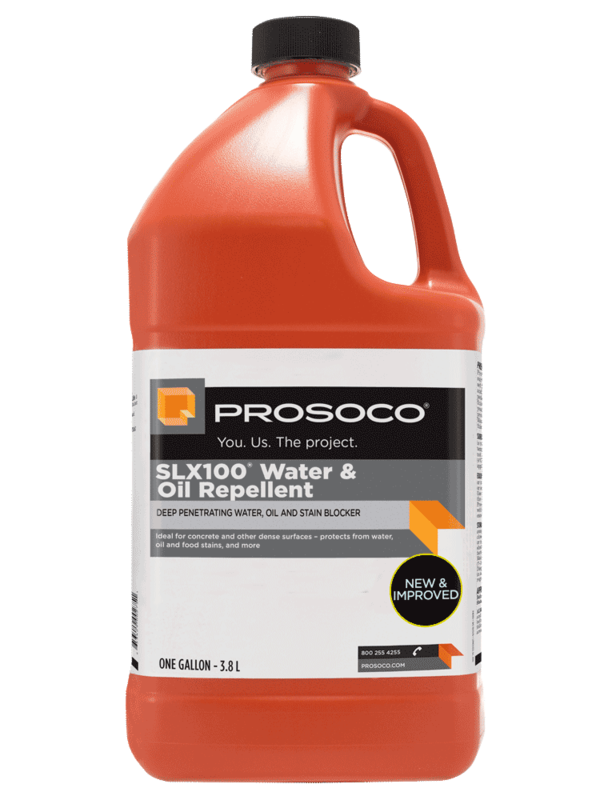 PROSOCO® SL100 Water Repellent is a modified, “neat” silane system that offers invisible protection and low volatility. SL100 protects horizontal and vertical concrete and masonry surfaces against water and waterborne contaminants. The small molecular structure ensures maximum penetration and colorless protection of dense, color-sensitive surfaces. Ideal for GFRC, integrally colored precast concrete and many types of natural stone. The absence of a solvent carrier enables applicators to achieve up to 5 times the coverage rate normally achieved with solvent-reduced protective treatments. Depth of penetration is controlled by the application rate (loading rate).